Hey, how do you play the solo on Deep Purple’s Highway Star on this? I saw this beautiful instrument laying on the seat. It belonged to the girl in the previous post, and she was gracious enough to let me play it. Its tuning is similar to the guitar’s, so I found it fairly easy to improvise melodies on. 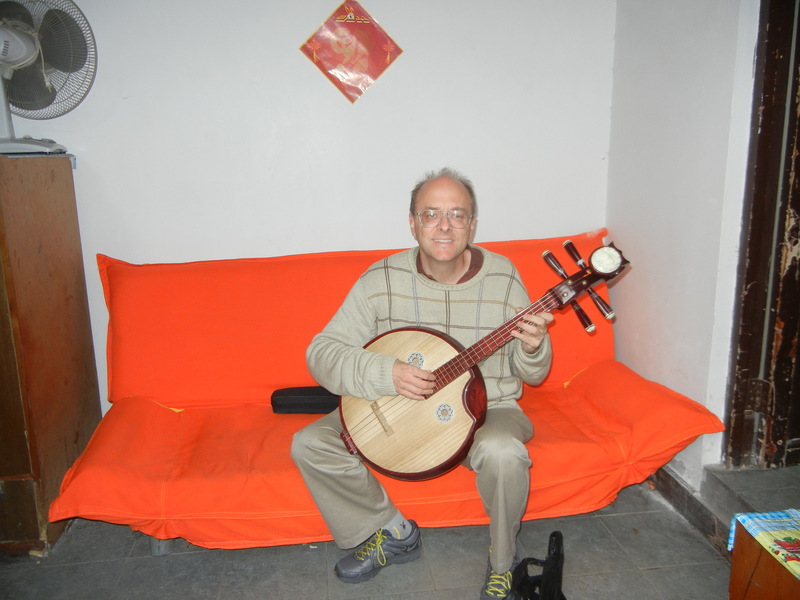 I thought about buying one, but I had already bought a pipa in Xi’an, and the moon lute was much heavier. I was already wondering how I was going to avoid overweight baggage charges. It sounds similar to the guitar, but with only 4 strings. So my only reason for bringing it home would have been for looks. A local family videotaped me for several minutes. 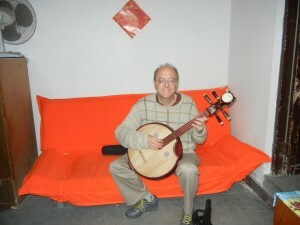 I absolutely loved playing music in public in China. The dense population and the people’s friendliness guarantee a lot of close interactions that I’ll remember for the rest of my life.